L-Arginine is a conditionally essential amino acid. It is important for blood flow and nitric oxide production. Supplementation can lead to greater strength and endurance, better blood flow, and increased nitric oxide production. L-Arginine is a conditionally essential amino which is found in red meat, poultry, fish, and dairy foods. Its supplemented most often by athletes because of its ability to increase nitric oxide levels in the body. Nitric oxide (NO) relaxes blood vessels allowing them to widen or dilate. This allows for better blood flow to tissues like muscle fibers. An increase in blood flow allows for better exercise energy, endurance, mind muscle connection, and bigger muscle pumps during workouts. More endurance and energy comes from the increase of blood flow which transports more oxygen and more nutrients to working muscles. This allows you to workout longer and more effectively. More blood flow also means your muscles are able to get a bigger pump and stretch on the working muscle. Being able to stretch and work the targeted muscle more causes a chemical reaction that increases muscle protein synthesis, enhancing muscle repair and growth. l-Arginine is a safe, versatile amino acid supporting protein synthesis and serving as a precursor of nitric oxide. And again, this leads to better blood flow, improved muscle endurance, increased energy, better mind muscle connections, bigger muscle pumps, greater muscle growth and repair. This is why many of the best athletes choose to supplement l-arginine as a stand alone supplement. 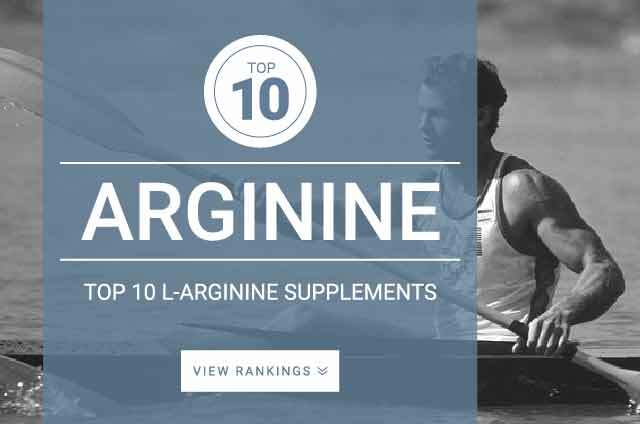 Generally anyone who looking for a supplement that increases peak power exercise performance, increase aerobic fitness, and enhance muscle endurance should give l-arginine a try. Its used by professional athletes from fitness models to bodybuilders along with avid gym goers and runners. If you’re pregnant or lactating, you should skip out on the l-arginine supplementation. It should be avoided by people who have issues with migraines, depression, and autoimmune disorder since increasing nitric oxide levels can theoretically causes unwanted events. The best time to use l-arginine is right before your workouts. Typically a majority of pre-workout supplements have l-argnine in their formulas. However, the dosage is usually ineffective and too low to really give you any benefits. This is why athletes choose to supplement arginine on its own. 30 minutes prior to working out seems to be the norm among athletes. The standard dose used by athletes as a pre-workout supplement is 2,000 mg – 6,000 mg. The Observed Safe Level (OSL) for L-arginine is considered to be 20 grams per day in healthy adults. Following proper manufacturer’s recommendations for dosage and supplementation timing is always best (every product is a little different). These instructions are usually found on the supplement package itself.